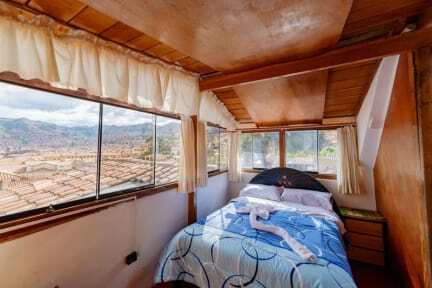 Puma Kiru Inn i Cusco, Peru: Reservér nu! Puma Kiru Inn is a friendly guesthouse located in San Blas, city centre, Inti Quilla is characterized by being a place of rustic family style, among visitors from all over the world, we offer a pleasant atmosphere full of green plants and pictures of Cusco culture; In the place you can spend moments of relaxation in the room, in addition to having a free kitchen for an internship with family and friends. There is a 24-hour front desk and free breakfast is served daily. 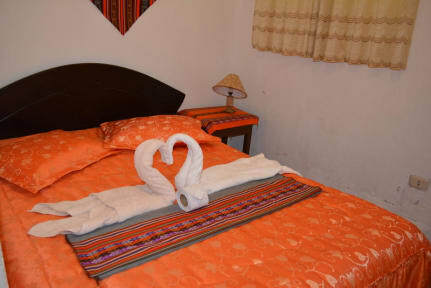 Puma Kiru Inn is ideally located in San Blas, in the historical center of the mythical city of Cusco. The property is located three blocks away from the Plaza de Armas, where you can appreciate narrow streets as well as the famous stone of the 12 angles, Inka building walls, baroque style chapels, colonial balconies, as well as art galleries, various artisan shops, cafes and tourist restaurants, typical and traditional. We also offer recommendations for your visit to the main tourist sites of our city, making your visit economical and pleasant. Puma Kiru Inn offers a wide range of private accommodation, single, double, twin and family rooms. The property offers picturesque rustic-style rooms with private bathrooms, showers with hot water, cable TV, free Internet, free Wi-Fi, heating, towels and room service and includes American breakfast.